When you look at some of the most efficient and well-optimized warehouse layouts, there’s a good chance that almost all of them have one thing in common: They’re primarily made up of industrial stack racks. 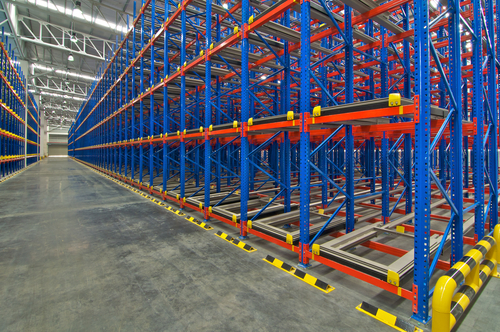 These kinds of racks are the central feature of most warehouses because they prioritize floor-to-ceiling storage, which can maximize the available space in any facility tenfold or more. Additionally, warehouse racks are amazingly versatile. They can be used for housing everything from pipes to tires to carpet. Because of this, you’re pretty much guaranteed to see stack racks in just about any large-scale storage facility. How do stack racks differ from other kinds of warehouse racking systems? These kinds of racks are composed of a metal pallet base and have either four individual uprights (legs) or an upright frame that can be disassembled and stored when not in use. The fact that they can be easily taken apart and put together makes them an excellent choice for dynamic warehouses that must be able to adapt to ever-changing warehouse demands. They are also easy to move around your facility and make access easy with forklift access points from all sides. Here are some more reasons why industrial stack racks are an essential for the modern warehouse. Let’s talk a bit more about versatility. Most of the major warehouse rack manufacturers produce several different kinds of warehouse racks, all of which have their own ideal applications. The main considerations when choosing the right pallet rack for your specific application are weight and size. In general, pallet rack systems that use structural (bolt) systems rather than roll-formed (clip-in) systems have higher weight capacities and are generally stronger. With that being said, roll-formed racks have some benefits as well, namely that they easily adjust to meet varying height and space requirements. Different materials and constructions are better-suited to storing different items, of course, so you should pick storage racks that suit your inventory or opt for a varied or adjustable system. Even if you buy your warehouse stack racks used, you can customize units to suit your unique needs and space requirements since they come in so many different sizes and styles. 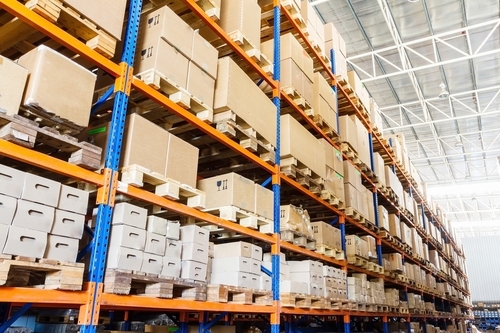 The second reason why these kinds of racks are some of the most foundational pieces of warehouse storage equipment is because they can improve worker efficiency. Each bay and row of your rack system will have a unique location identifier, allowing your order picker to find the appropriate rack and quickly locate the desired product. Pallet flow racks are also a popular pick for warehouse managers looking to improve efficiency because they use a rear-loading system, which allows for faster turnaround on time-sensitive items. Well-organized warehouses also use racking systems that are easy for pickers to quickly access when needed. There are certain racking systems that are specifically designed to improve accessibility. For example, you might choose drive-in or drive-through stack racks that allow forklift trucks to access the areas between racking so they have better access to different storage areas or opt for a pushback rack if your goal is to improve efficiency by simplifying loading and unloading. When you’re shopping for warehouse storage solutions, every single item has to bring a big return on investment, especially when it comes to crucial components like racking systems. You can count on these racks to deliver durable performance for years to come, especially when you select racks that are specifically designed for your intended purposes and storage demands. Many racking systems can also be equipped with durability and safety add-ons, such as heavy-duty bracing, column protectors and wood-filled columns, for extra strength. Because they’re generally very well-made and long-lasting, there’s an excellent market for used pallet racks, which may be a good choice for some situations. Container Exchanger is the No. 1 marketplace for buyers and sellers of packaging and storage racks, so you can trust us to help you find both new and used options for your specific budget and needs. Choosing the appropriate type of stack rack will ensure that you get years of use out of each one and will also help prevent workplace injuries and damaged goods. We’re always on hand to help you find the right racks. This entry was posted in Bulk Containers, Stacking Totes, Totes on April 26, 2018 by dmadden.